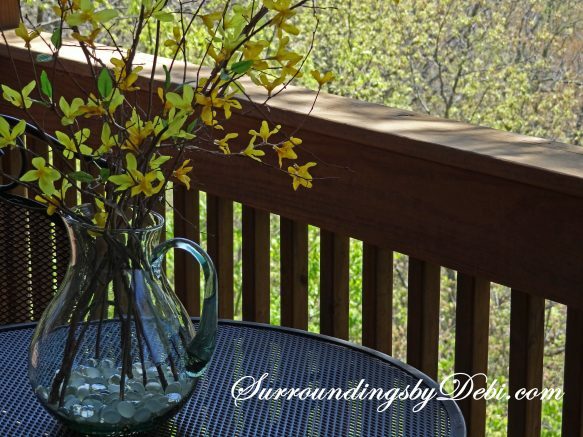 I really love the beautiful forsythia bushes this year. 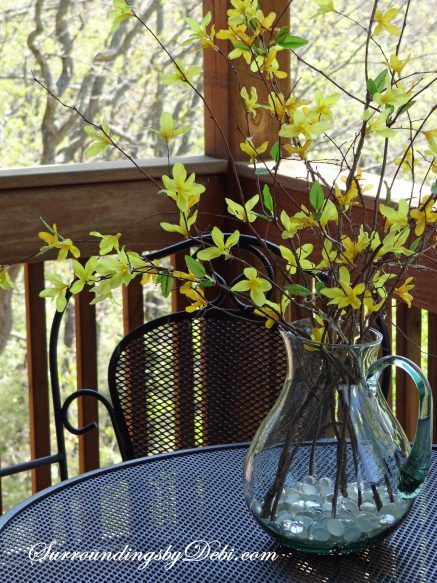 Seeing the bushes in the yard with their beautiful yellow blossoms makes me especially happy. 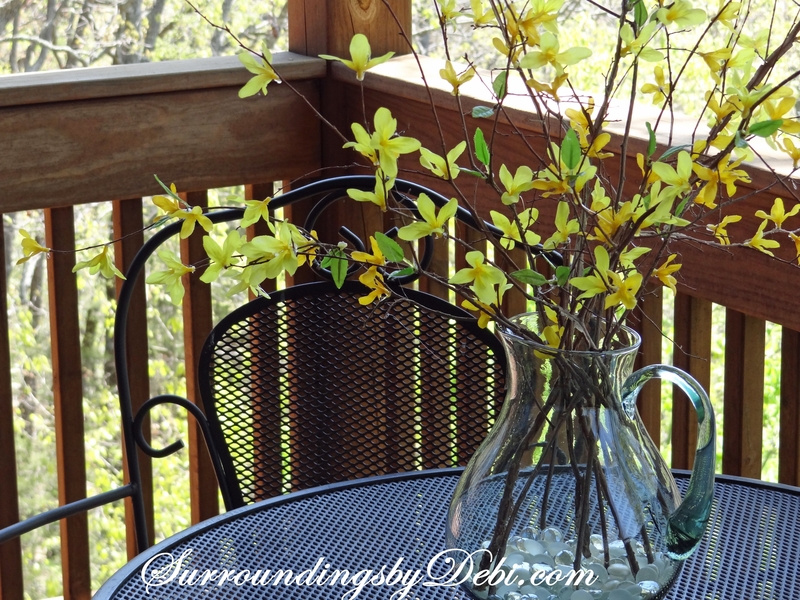 Not having bushes of my own to trim from, I am making faux forsythia branches for our home. Now this is a super simple project that anyone can do. Yes – I see you shaking your head – even you without a creative bone in your body. 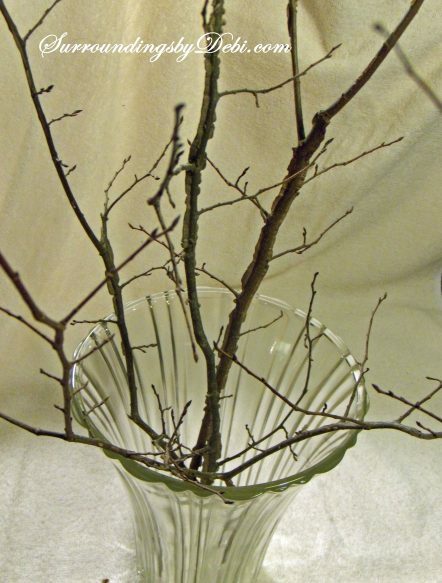 It makes wonderful filler in any vase. First I got myself outside to enjoy a sunny day and gathered up some branches I found along the road. I looked for some that had unique outputs on the branch. 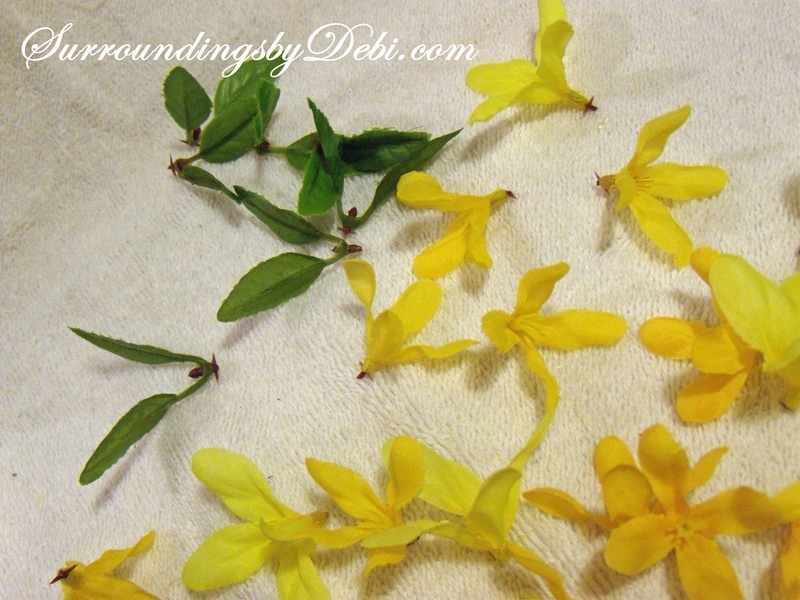 I then cut the blossoms and leaves off of a forsythia bush I had left over from my forsythia wreath project. You can find the project HERE. 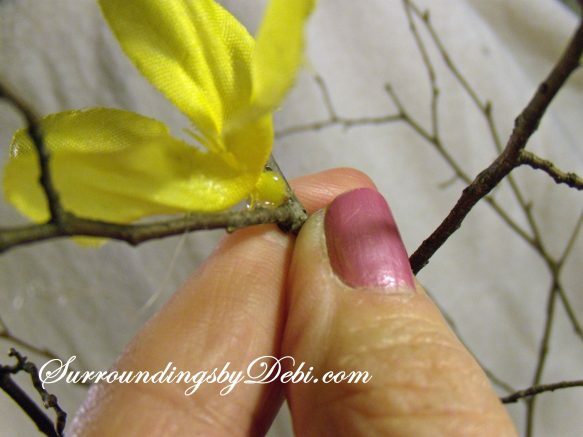 I then carefully dipped each blossom into hot glue and secured it to the branches. 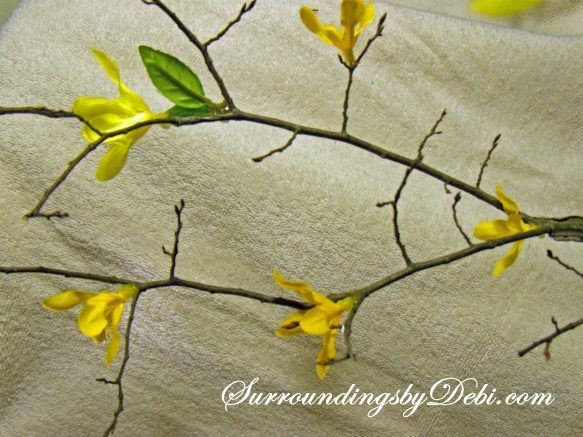 Trying to nestle it into the “v” created by the branch when you can will help secure the blossom to the branch. 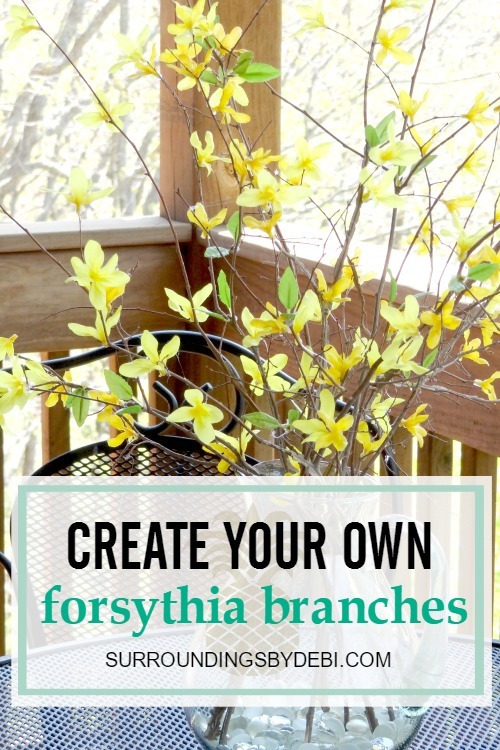 You can add as many of the blossoms on the branches as you want for the look you desire. Then simply arrange the branches in a vase and you have a creative arrangement for your table, shelf mantle, entrance way or wherever you want a touch of spring. 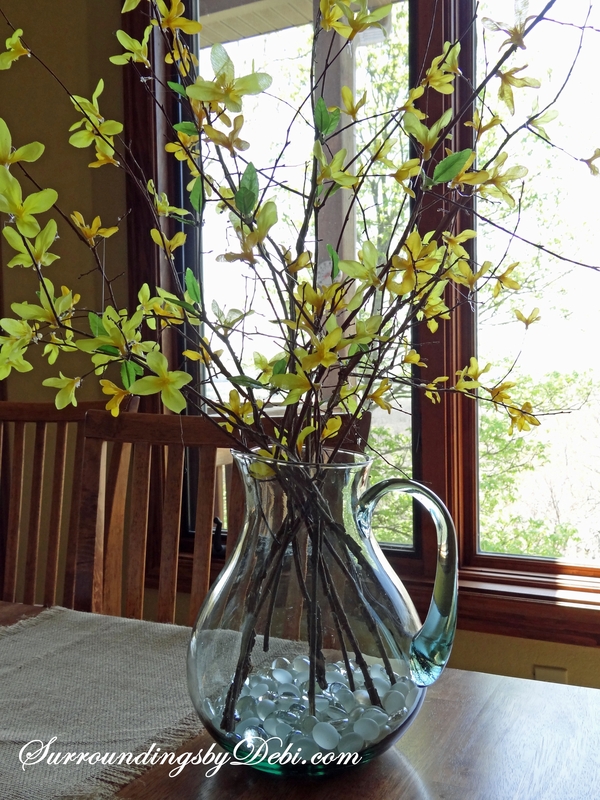 This makes a great centerpiece as the branches are sparse enough that it doesn’t obstruct the view of those across the table. 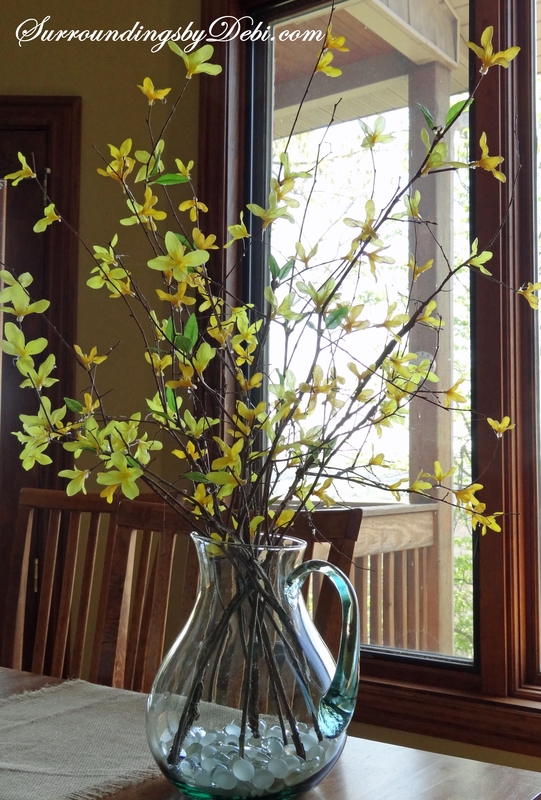 You can see where I used the branches HERE in my Jelly Bean – Peeps vase. I took them out to the back deck to add to the corner table there. They looked wonderful against the backdrop of spring trees. Now take advantage of a beautiful day – head and outside and gather those branches and let me know how creative you can be.